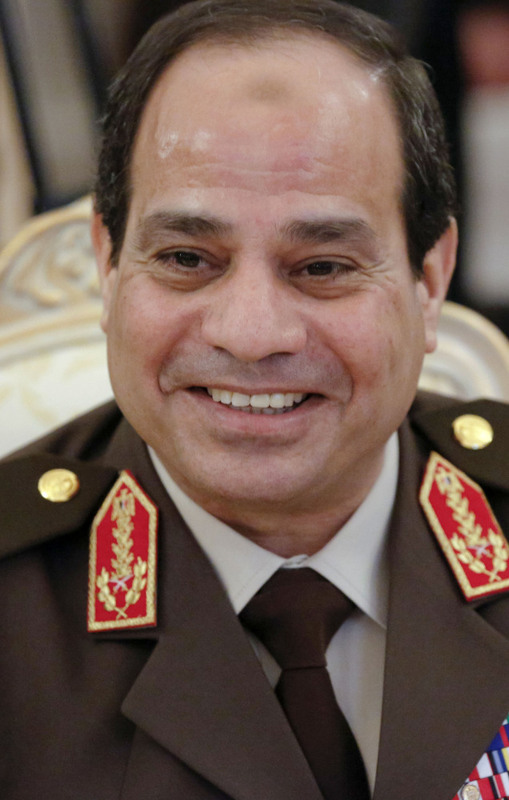 Nearly a year after he ousted Egypt’s first freely elected president, former military chief Abdel-Fattah el-Sissi was elected president by a landslide of 92 percent of the vote, according to unofficial results released by his campaign Thursday. But questions over the authorities’ drive to boost turnout threatened to stain his victory. New details emerged of a frantic government effort to get officials, town mayors and prominent families in southern provinces where voting was low to push up turnout during the three-day election amid a boycott by el-Sissi’s Islamist foes. After a weak first day of polling on Monday, the prime minister held a video conference with governors and senior security and military chiefs in several of Egypt’s provinces, telling them to get out voters, according to three officials with knowledge of the call. Tuesday saw a flurry of free buses to polling stations in those areas. The head of the U.S. Chamber of Commerce is prescribing a heavier dose of open markets as the cure for communist-run Cuba’s struggling economy. Chamber president Thomas J. Donohue praises recent reforms under which hundreds of thousands of islanders are now working in the private sector, but says the changes must now be consolidated and expanded. He is also calling for a new relationship and changes from Washington, including efforts to support Cuba’s budding entrepreneurs. He says the Chamber for years has urged an end to the 52-year-old economic embargo. Donohue spoke Thursday at the University of Havana. The U.S. Navy’s Bluefin 21 finished its final underwater mission in the southern Indian Ocean on Wednesday after scouring 850 square kilometers (330 square miles), the Joint Agency Coordination Center said. “The area can now be discounted as the final resting place” of the missing plane, the Australia-based center said in a statement. The underwater search for the airliner, which vanished March 8 with 239 people on board en route from Kuala Lumpur to Beijing, will be suspended for a couple months while more powerful sonar equipment is brought in to search a much wider area of 21,600 square miles, based on analysis of satellite data of the plane’s most likely course, the center said.